My latest commission. It is very similar to a painting I did a couple of months ago. 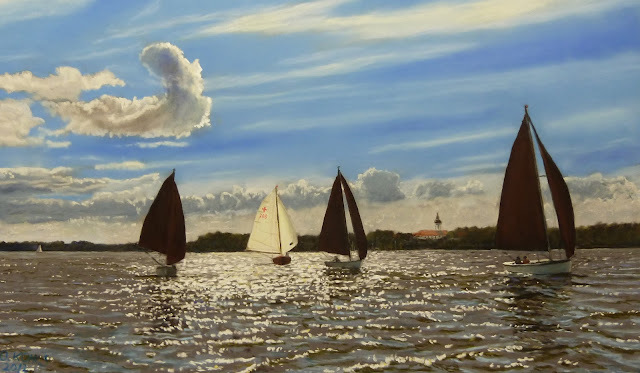 The client is the owner of the boat with the bright sails and he wanted me to paint his boat in front of Dießen Monastery. I wish all of you happy holidays and a happy new year 2013! Thank you for visiting my blog and being interested in my art. It keeps me going!